Help Morbidly Beautiful and Blvckcat Co pick our next pin release! 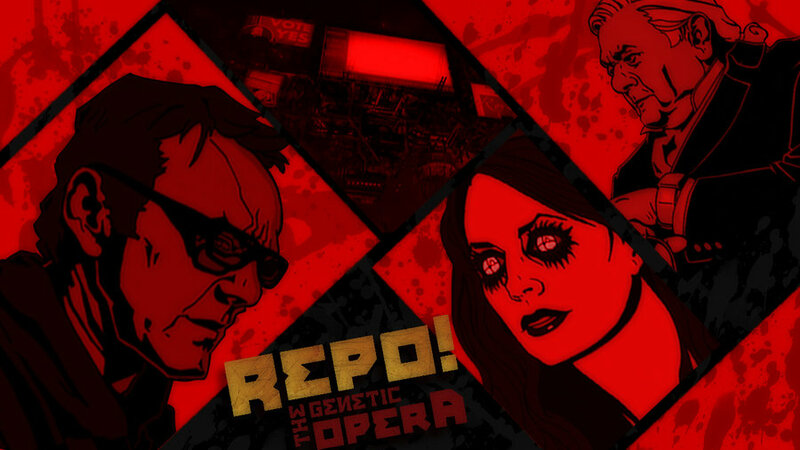 We’ve decided to release a pin from one of our all-time favorite films, the absolutely brilliant horror musical Repo! The Genetic Opera. We designed four pins, featuring characters from the film, that we are in love with. So we need your help deciding which of these four pins — featuring Blind Mag, Repo Man, Pavi Largo, and GraveRobber — we should produce. Simply pick your favorite from the four below. We’d be thrilled if you’d also share your choice via Twitter and/or Facebook to help us spread the word. To thank you for taking the time to vote and share with others, we’re giving you a chance to win some amazing free pins. Simply vote below and leave a comment at the bottom of the page. We’ll randomly select a winner on May 1st to receive a complete set of You’re Next Pins and Chopping Mall/Killbot Pin from Blvckcat Co, along with some cool extras. You’ll also receive the winning Repo! The Genetic Opera pin from our voting. Would 100% buy a Blind Mag pin right now, so she gets my vote. This is one of my favorite films! I am happy to see someone making pins of the amazing characters. It’s hard to pick one but I would have to say blind mag. I would love a Blind Mag pin. She was definitely my favorite from the film. All of them are pretty freaking cool. But I had to choose Grave Robber because he is my favorite character in the film. All 4 of these are gorgeous! Blind Mag was an easy pick for me though because, she is my favorite from the film. How am I supposed to choose this is like picking a favorite child?! *deep breaths* Well I love them ALL, but if I MUST pick one I pick my beloved Blind Mag because that pin is AMAZING. The beautiful Graverobber is a close second though. Blind Mag, no question. So iconic, so beautiful. Ask a Gentern who they prefer, 10 out of 9 will say The PAVI! Blind Mag for the win!! Love love love….did I mention love this movie. Lol. Blind Mag would be magnificent. Blind Mag looks great, but gotta go with Repo Man. Pavi’s face will rule them all! I’m sorry. I’m must show my respects to an all time favorite, and life altering musical source…..skinny puppy. Pavi for Prez. Dang that was tough. I went with Blind Mag but they all look bitchin’. Thanks for the opportunity! Repo Man is my choice!